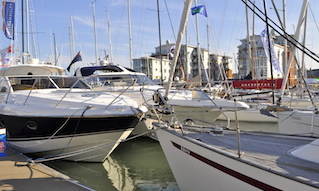 Each year there are over 30,000 movements of commercial ships into and out of Cowes Harbour. 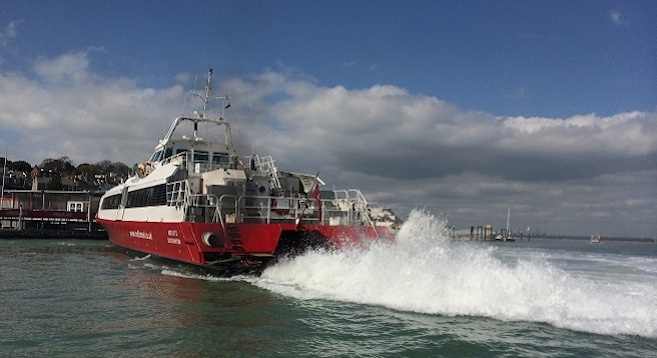 Most movements are associated with Red Funnel’s vehicle ferries operating to East Cowes, and their Red Jet fast passenger ferries to Cowes Town Quay. In addition, there are regular movements of small oil tankers bringing fuel to the Isle of Wight at the Kingston Depot by the East Cowes Power Station, and bulk carriers up to 100 metres (330ft) in length and with a draft of up to 5.7 metres (18.7ft) berthing mainly at Medina and Kingston Wharves. 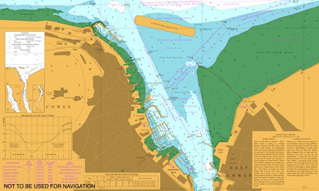 Sailing vessels and vessels under 20 metres in length must not impede the passage of these larger ships. This means keeping well to the edge of the fairway, and where safe to do so navigate just outside the fairway limits. This also applies to vessels crossing the fairway. 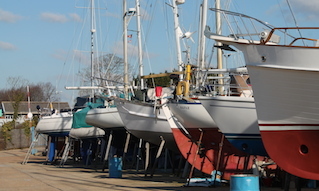 Commercial ships are required to broadcast their intentions on Cowes Harbour Radio, VHF Channel 69. Yachts are well advised to pay close attention to these broadcasts so they can anticipate commercial movements and keep well clear. 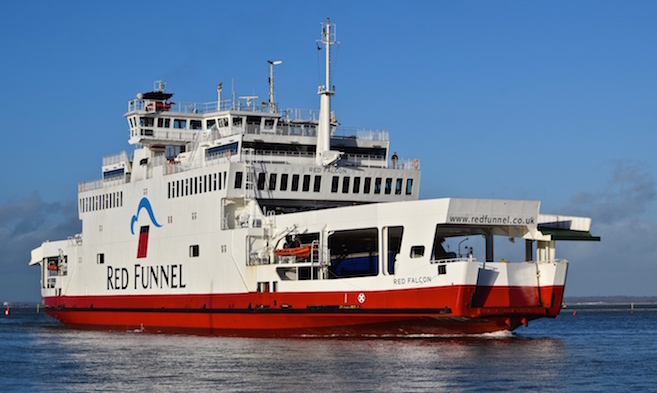 For example, when outbound past the Chain Ferry, be prepared to slow down or stop to allow the vehicle ferries to approach or leave their berth. When approaching the Red Jet terminal be aware that the Red Jets will turn on arrival sounding one short blast and eject a substantial wash from their propulsion units; avoid the temptation to try and overtake the Red Jets on either side, it is safer to hold back until they have completed their turn. When joining the fairway from the Small Craft Channel always give way to vessels already navigating in the fairway, especially large ships. Keep a good look out, both ahead and astern, when navigating the harbour. 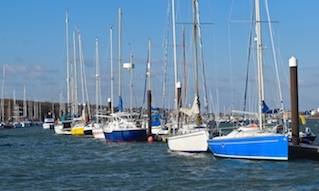 Remember that it is not always possible for the pilots or Masters navigating commercial vessels to keep sight from the bridge of yachts passing close ahead or astern. Always take into account the interaction between vessels (pressure and suction effects) that occurs between vessels in close proximity. 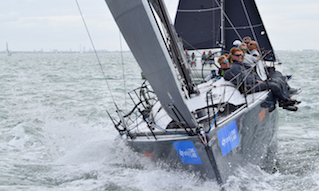 A good look out, a safe speed, and good seamanship are the keys to safe operations in Cowes Harbour.